TO DO HIS OR HER BEST! The mission of Lighthouse Christian Academy is to prepare students for leadership and service through a commitment to excellence in academics and character to maximize their impact for Jesus Christ in the community. Lighthouse Christian Academy will continue to maintain a high standard of excellence in academics, character, integrity, morals and an understanding of where students and parents fit in God's Kingdom and His calling upon their lives. Students will have a solid knowledge in the language arts, mathematics, sciences and social studies. They will have an appreciation for history, literature, music and arts. Students will be given opportunities to practice the gifts that God has blessed them through community outreaches. Lighthouse Christian Academy will strive to be an asset to the community by training students to be leaders in the community. Life principles, wisdom and skills will be learned in a safe, non-threatening environment. Children and parents will be accepted and loved by staff that has been called in to full time children's ministry. Parents of Lighthouse Christian Academy will help the school decide how to use available resources to enable the students to learn and meet provincial standards. Parents will ensure that the focus of spending is on supporting and improving student learning. All students have a capacity to learn, however, all students do not learn at the same rate. A student's learning will be more effective if it is done in an individualized manner. Parents are the primary educators of their children. The success of students is the shared responsibility of students, parents, school, church, community, and government. Lighthouse Christian Academy is accountable to the parents of the students in the school and therefore encourages parents to take an active role in the education of their children. 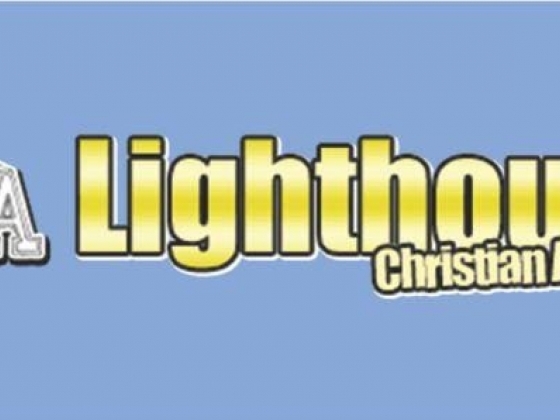 Lighthouse Christian Academy focuses on character building and academic excellence. These two goals are achieved through integrating the following standard-whatever is attempted has the best possible effort involved. In order to be successful, Lighthouse Christian Academy must continue to recognize God as the center of all facets of the ministry. Prayer and reading of the Word is a necessary, daily part of each individual's life. We believe in developing a personal relationship with Jesus, building character, achieving academic excellence and developing the giftings and leadership qualities of each student to maximize their impact for Jesus Christ in the community.